Produce precise, pristine and steady cuts with Festool’s NEW cordless insulation saw. The Festool ISC240Li 5.2 EBI SET FS Insulation Saw 18V (5.2Ah) cuts insulation material efficiently with minimal effort. Lightweight and ergonomic, combined with high speed cutting and the FastFix feature for cutting set changes, the saw produces amazing results, every time. 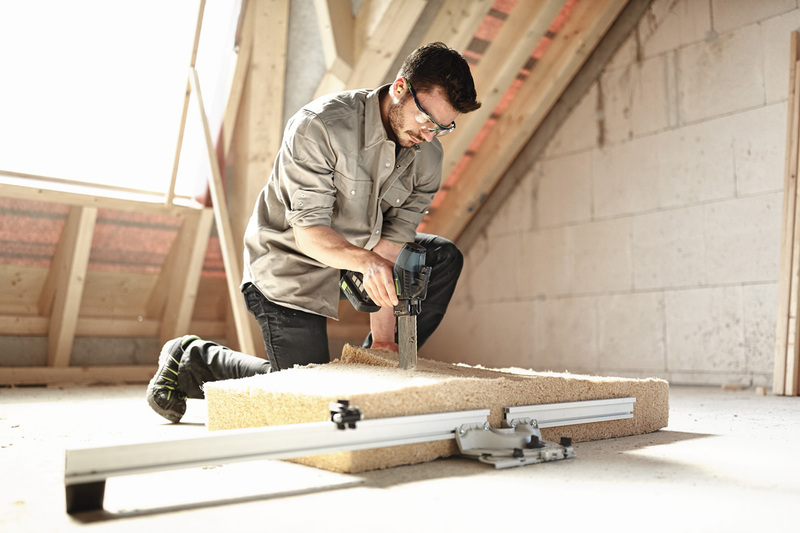 If you need to insulate housing with minimal effort, Festool’s new insulation saw ISC 240 is the tool for you. It effortlessly cuts through insulating material made of mineral fibres, natural fibres or PUR/PIR and polystyrene insulation boards. This makes Festool’s new ISC240 cordless 18V insulating-material saw the optimal solution. Perfect for mobile cutting on the construction site, the saw is ideal for roofing, scaffolding, flooring and more! No matter whether you use it freehand or guided with a guide rail and stop system, the ISC240 impresses with its mobility, versatility and efficiency. Enjoy greater speed, increased production, and reduced effort to perform tasks with greater accuracy. Cutting flexible insulating materials, such as glass wool, rock wool and natural fibres when used with the serrated saw blade cutting set. The perfectly coordinated cutting set enables fast, clean and precise cutting, each and every time. Cable-free cutting where there is no power source or where it is difficult to access. This makes it ideal for use outdoors, on scaffolding, etc. Cutting flexible insulating materials with precise angles and accurate dimensions when used with the guide rail and angle stop. For cutting PUR (polyurethane hard foam) and polystyrene insulating boards when used with optional cross-set saw blade cutting set. 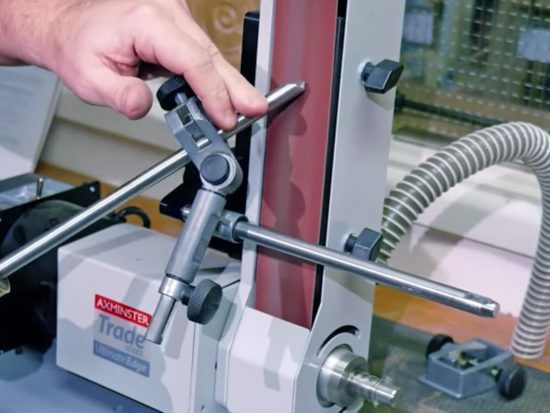 Cutting of flexible insulating materials with precise angles and accurate dimensions when used together with the guide rail and the angle stop. 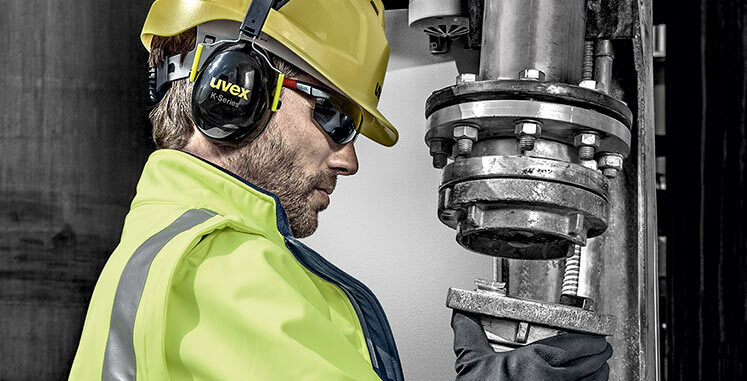 Ideal for mobile use in assembly applications as well as onsite work, on the roof, on scaffolding or in the workshop. Produce efficient cuts: With the guide rail and angle stop included in our set, repeatable angled cuts can be made with precise dimensions. Cut depths up to 350mm: Cut even the thickest insulating materials with little effort and make quick work of the task. Ideal if you need to carry out repetitive work onsite, on the roof, on scaffolding or in the workshop. 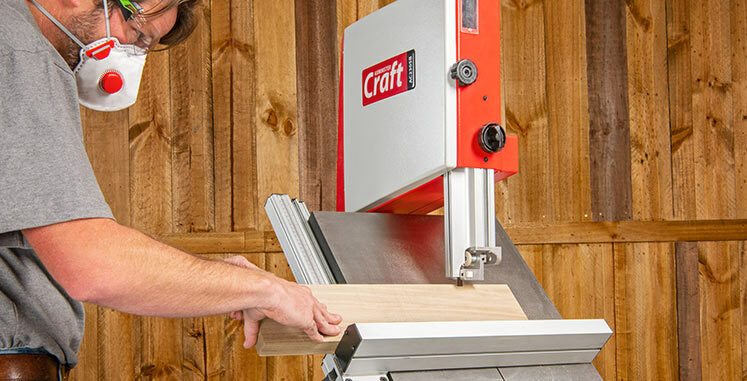 Use freehand or guided cutting: Due to its versatility, the insulation saw can be used for freehand cutting or guided cutting with the guide rail and angle stop to make repeat cuts. Create precise, pristine and steady cuts which are perfectly straight or with precise angles with ease. Built to last: A high quality grille protects the maintenance-free motor against dust and fibres. Furthermore, the saw blade itself boasts an extra-long service life making it perfect for heavy duty work. Maximum performance: The EC-TEC drive concept generates an extraordinary amount of power while consuming very little energy. This provides the perfect combination when you are busy at work. 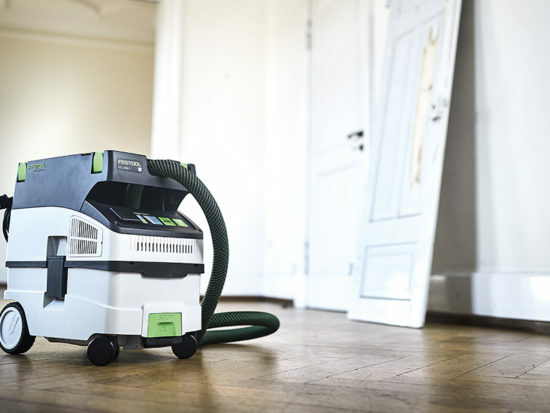 Low-dust work: For convenience and added safety, a Festool mobile dust extractor can be connected via the extraction adapter. This makes it ideal when cutting insulating materials that produce dust. FastFix blade changing system: This super handy quick-change system makes changing the cutting set easy. So much so that it can be replaced without the need for tools in a matter of seconds. Perfectly balanced design: Designed with the end user in mind, Festool’s new insulation saw is extremely mobile and ergonomic. Its low weight and lack of cables means it is comfortable to use- even with one-handed operation. What’s more, the rubber handle areas provide the maximum comfort at all times. Cordless power: The combination of high efficiency 18V Li-ion batteries and the brushless EC-TEC motor guarantees high traction and long-lasting performance. The insulation saw is mobile, fast and saves effort without a cable. Protective function: To help safeguard you, the double-click protective function prevents the insulation saw from being switched on accidentally. Simple adjustment: The electronic speed control means it is straightforward to adjust the saw to suit the specific type of insulating material you want to cut. This produces efficient work adapted to the chosen material. Bluetooth battery technology: The intelligent Bluetooth battery communicates with the optional Bluetooth module (not included). This module is retrofitted to your Festool mobile dust extractor and ensures that the extractor starts automatically when the insulation saw is switched on. 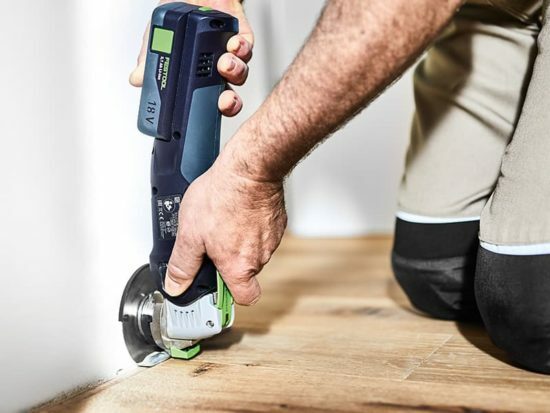 CLEANTEC dust extraction connecting system: An integrated bayonet fitting creates a connecting element between between the Festool insulation saw and the extractor. This means the insulating-material saw is secured quickly and securely to the suction hose for low-dust work with no slipping. AIRSTREAM battery technology: This enables faster reuse of the battery packs and significantly increased charging capacity. Targeted cooling via air ducts reduce the battery’s cooling time for a shorter charging time. This means you can get back to work quicker and enjoy increased runtime and longer overall lifetime. 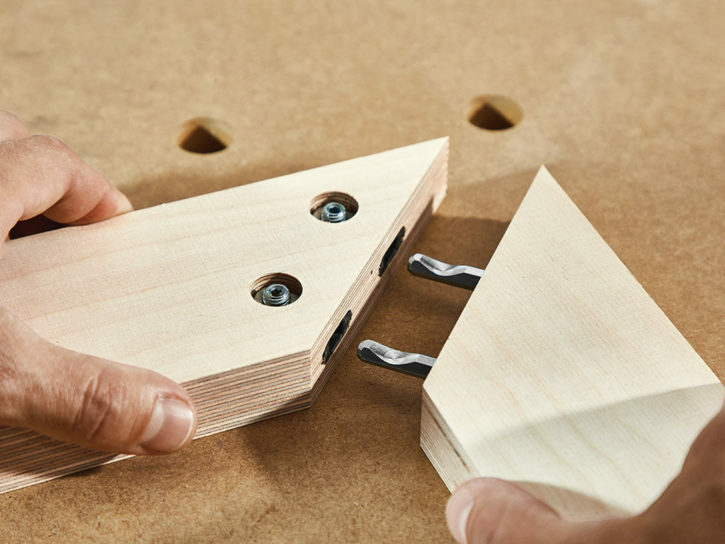 Produce highly accurate and strong cabinets and joinery items simply and quickly with the new Festool DOMINO DF 500 connector set. The new basic structure and furniture connectors are extremely versatile and provide for a very large range of applications. Ideal for use in the workshop, at home or on site achieve first class results more quickly than ever before with Festool’s new connector set. 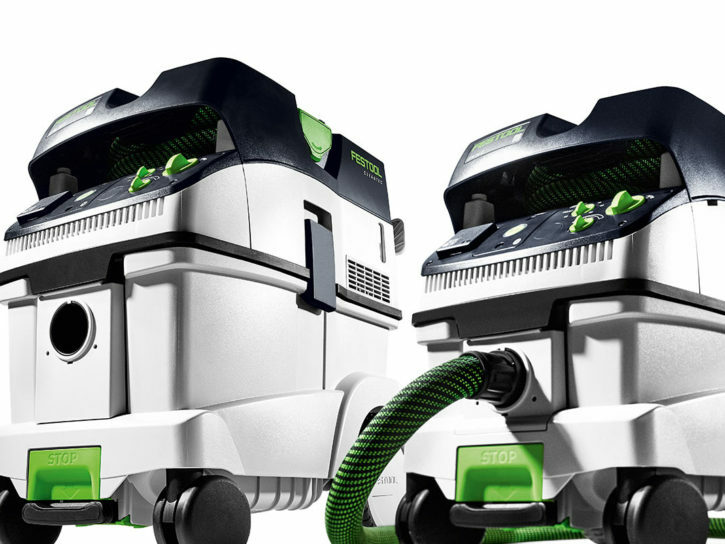 Alternatively, why not take a look at our ‘First Look’ on Festool Mobile Dust Extractors? Extraction is an essential part of any workshop. When it comes to your health, reducing dust is a priority. The latest updates from Festool mean you’ll achieve more success even more quickly and easily. If you’ve bought Festool’s new ISC240 Insulation Saw, we’d love to hear from you. Comment below or send us a photograph and tell us all about your new purchase. What do you love about the insulation saw, and why? Alternatively, get in touch via our social media platforms. Find us on Facebook or send us a tweet using #insulationsaw to @AxminsterTools.